At Oasis Orthodontics, we understand that sometimes referrals can be daunting, particularly for children, so we want to help ease your mind by providing some of the information that you might need to help you make it to your first appointment with our local Perth Orthodontist. What Services Does an Orthodontist Offer? Offering fixed and removable varieties so that you have the best option to suit your unique case. When you were referred to the Orthodontist, your dentist may have mentioned some of these problems as their reason for your referral. If you’re not sure, your Orthodontist will be able to discuss these with you at your initial appointment. How can Orthodontic Treatment Benefit You? Confidence: First impressions matter, and people can be very self-conscious of how their teeth appear. Hygiene: When your teeth are crooked, overcrowded or overlapping it can be difficult to keep them clean, which can cause a build-up of plaque and contribute to decay. 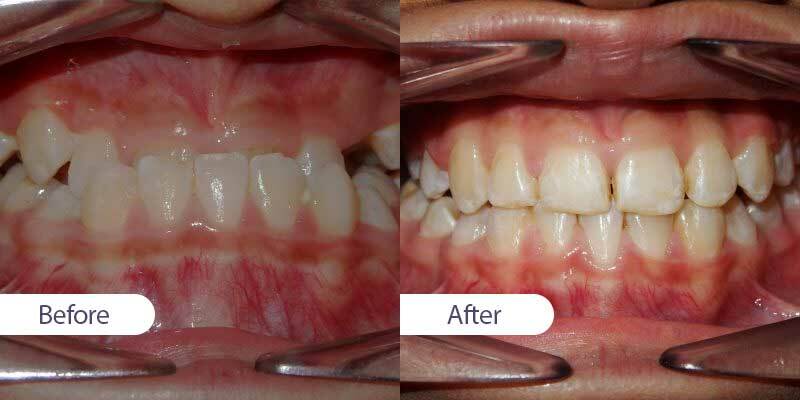 Having your teeth straightened will assist in looking after them. Wear and Tear: Teeth that are crooked can cause additional rubbing of teeth on one another, that can contribute to the teeth wearing down. Recently we had a young boy called Ryan who required treatment for an underbite where his upper teeth would get stuck behind his lower one. After only 12 months of braces on his upper teeth, Ryan’s teeth were aligned and his bite was back to normal. You can book your first appointment online or phone 08 6169 1699 and choose a time that will best suit you. Oasis Orthodontics conveniently located in Clarkson Perth have appointments available from 9am to 5pm weekdays to make it even easier to get to your initial appointment.